You must be a member of the Nairobi Book Group to attend this activity. Would you like to join this group? The Law of Attraction is the belief that positive or negative thoughts bring positive or negative experiences into a person's life.The belief is based on the idea that people and their thoughts are both made from pure energy, and that through the process of like energy attracting like energy a person can improve their own health, wealth, and personal relationships. Many people are aware of this, however, the reality in most experiences is different. Why? 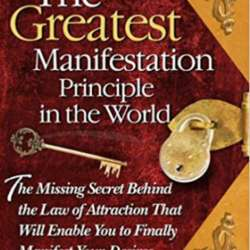 This is the first book that removes the blindfold from the world's current understanding of the Law of Attraction -- and reveals the true power behind it so that people can finally experience spectacular and consistent results from it. Thanks Karl for suggesting this book. Looking forward to discussing the tangible effects of reading and applying this knowledge.